This course is for anyone who wishes to try out the relatively young sport of dry tooling. Whether you are interested in dry tooling as a sport in its own right and want an introduction to the sport and various techniques unique to this style of climbing, or perhaps you are interested in dry tooling as a way of training for winter climbing and want a day of coaching with useful hints and tips relating to modern leash-less climbing and movement, all of which is directly transferable to mixed routes up on the mountain in winter. Dry tooling is a brilliant way to build up climbing fitness for winter and can be participated in year round as no winter conditions are actually required. We will use the dedicated and well established dry tooling venue, the Works, for these days. The Works is in the Lake District, see the Works venue guide sheet in our Resources section for a better idea of what the venue has to offer. 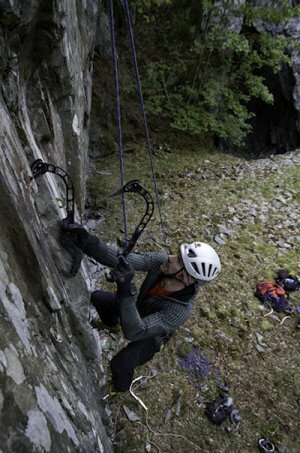 All technical equipment can be supplied at no extra charge including a range of modern leash-less axes to try out.